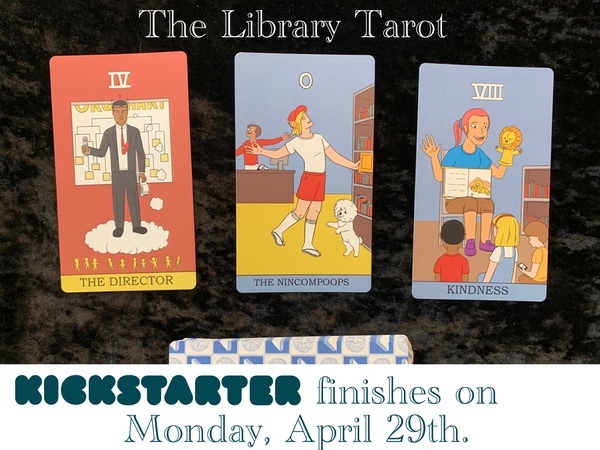 Patron: I’m glad libraries are still a thing. 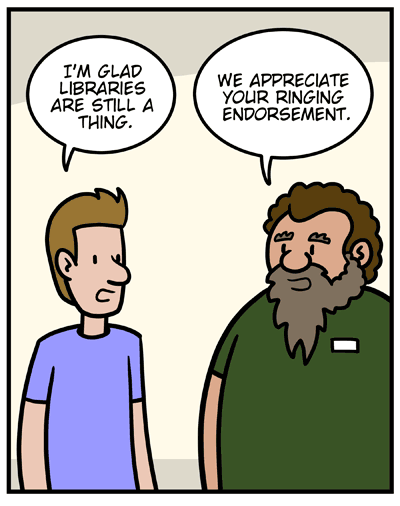 Martin: We appreciate your ringing endorsement. 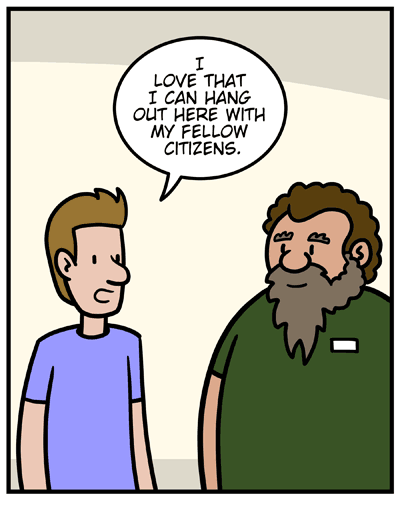 Patron: I love that I can hang out here with my fellow citizens. 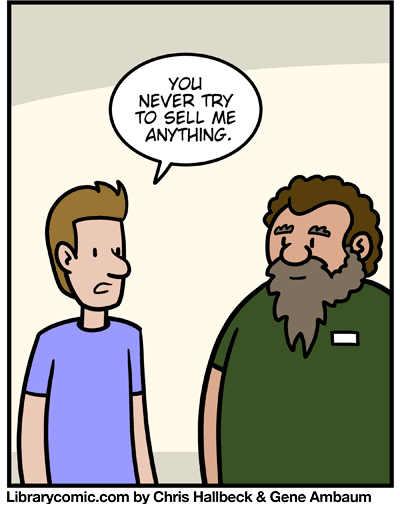 Patron: You never try to sell me anything. 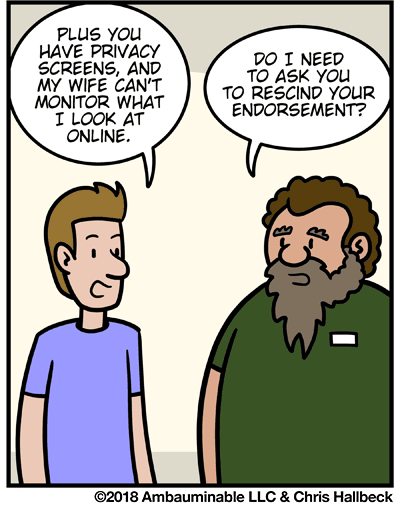 Patron: Plus you have privacy screens, and my wife can’t monitor what I look at online. Martin: Do I need to ask you to rescind your endorsement?